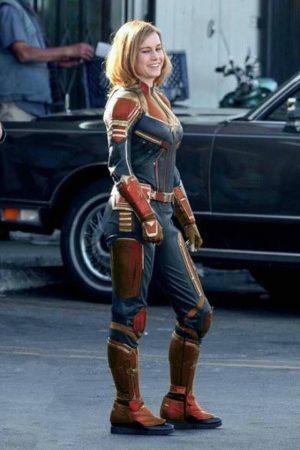 The Captain Marvel movie set in the Marvel Cinematic Universe with actress Brie Larson as Carol Danvers and alter ego Captain Marvel is set for release on on March 8, 2019. However, before that, we will meet her in Avengers 4 Infinity War in May 3, 2019. 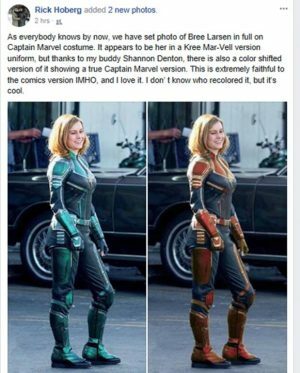 Pics of Brie Larson have surfaced. 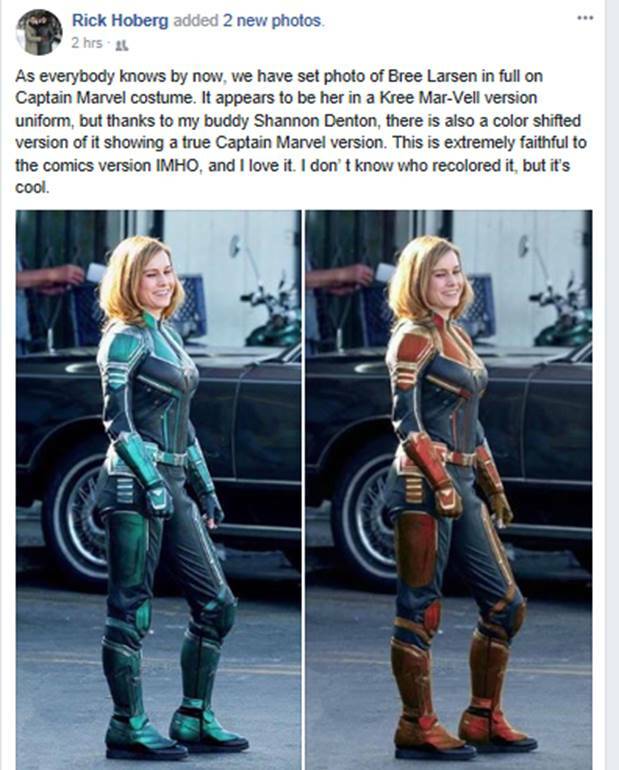 Her costime is green likely the original Kree gear.